Here are a few of my favourite articles and blog posts from January 2019. 1. New Year, New Challenges. It’s been a challenging time in the Agents of Field house over the last couple of months. I was deeply saddened to hear of the passing of Ade’s dad. I know how hard it can be to experience the sudden loss of a parent and especially at what is a festive time of the year. The duo is also facing the exciting but I have no doubt strenuous task of moving into a new home and rejigging careers. They might be spinning more plates than ever before, but they managed to let us all know about their adventures – I for one am excited to join them on their journey. 2. How do I get the most from my sweet peas? My lovely friend Debi has been writing some terrific articles on Richard Jackson’s Garden website. Last month, a timely post all about getting the best out of your sweet peas. I sowed my sweet peas a few weeks ago and I’m hoping for a blooming good show of them on the allotment this year. If you fancy growing some sweet peas yourself this year, then here’s some fabulous advice from DH from choosing the varieties, sowing seed and planting them out. 3. Top 10 Money Saving Vegetables to Grow Yourself. After retiring from his secret role as the famous twitter dog ‘Monty’s Dog Nigel’, Matt has provided another of his brilliantly useful and wonderfully researched blog posts. There are so many seed suppliers displaying their wares, how do you find out the seed variety you want to grow for the best value for money. They are right here. 4. How to use the Marie Kondo Method in the Garden. She’s the hot choice of viewing pleasure on Netflix at the moment, yes, that famous tidying guru Marie Kondo is wowing the public and inspiring households across the world to chuck a load of their clutter out and streamline their pants and socks drawers. However, as Tanya shows us, the methods are not restricted to within our homes. 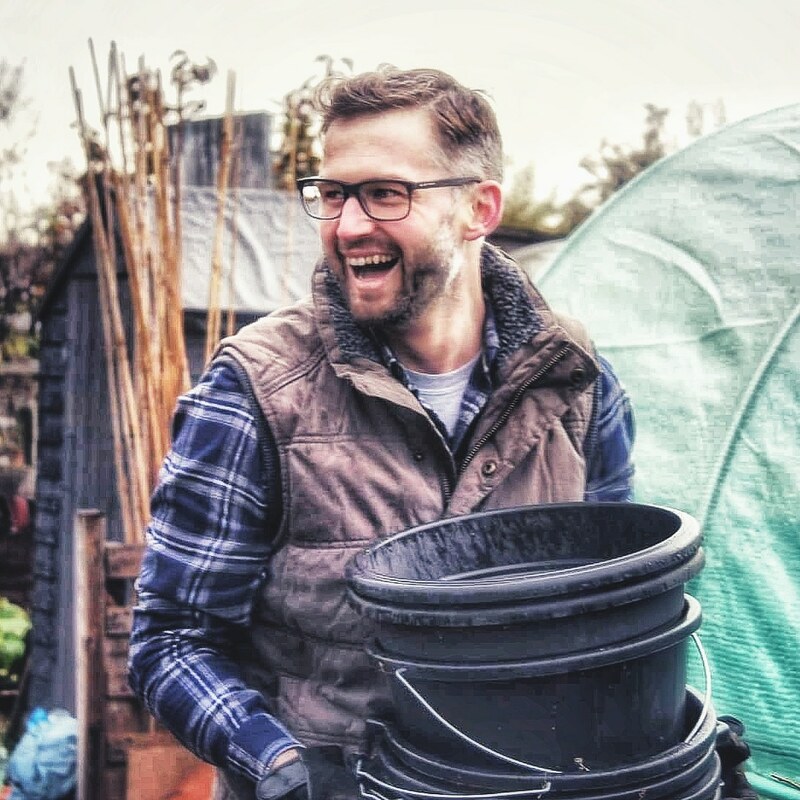 This is such a brilliant blog and video on how we can use the Marie Kondo method in the garden including ideas for organizing seeds and going through plant pots and trays. 5. How to make a rhubarb and ginger shrub: an easy alcohol-free cocktail recipe. What is a Shrub? I had no idea and I’m glad I stumbled across this post from those Thirsty Gardeners. People seem to have the idea that I like a little drop of booze (No idea where they got that from? ), and last year I enjoyed a delicious drop of homegrown – homemade rhubarb gin, but this is a very clever way of using what is usually one of the earliest crops from the kitchen garden. Chin Chin. 6. Apple upcycling. I have one inherited apple tree on my allotment and I’m ashamed to say it’s currently lost in the overgrown area of the plot. I’m hoping it still exists as I clear the space this year. If it is, it’s not in the right place for me, unfortunately. I have been racking my brains as to what I can do with it should it still be alive. Then I read this intriguing idea from Jim. 7. Portrait of a Cauliflower. I have to agree with Kathy here. I struggle with growing cauliflowers and I doubt very much we are alone in this venture. They are renowned for being a bit tricky. However, a new year and all, I’m determined to get a cauliflower or two from the plot this year because there are such wonderful varieties available to try. I hope Kathy will too – but in the meantime, she’s given some recipe ideas for those who have succeeded or those who have just nipped down to the supermarket instead. 8. Nest Boxes and Bird Feeders for the Garden. It shouldn’t surprise you to learn that there is sadly a declining number of thrushes, starlings and sparrows in our British gardens and countryside. As Karen suggests in this post, it’s possibly a result of the loss of habitat – we are all keeping our homes in better repair, meaning there are fewer gaps under the tiles where sparrows like to nest. One way to support our sparrows is to provide them with a home to try and compensate for this loss. Here are some tips on building a bird box to helping them with some nesting options. 9. Meat Free Burger. After Christmas, Hannah and I made the conscious decision to drastically cut back on our meat consumption in line with the ever-increasing body of evidence to maintain our health and support our environment. I’m thoroughly enjoying this lifestyle change and increasingly on the lookout for ways to create flavoursome vegetable dishes in the kitchen. I also love a burger and I’ve been experimenting with veg based versions. This sounds like a cracker from Rekha. 10. Tidying everything up. I’ve spoken about the struggles of a passionate gardener at this time of year. The yearning to sow and grow something intensifies and we are restricted by light and temperature. However, there are always things we can be doing on the plot. Often it’s the things we do now that mean the rest of the year goes so much sweeter. It’s always a pleasure guys. Hope you are not snowed in over there! ?